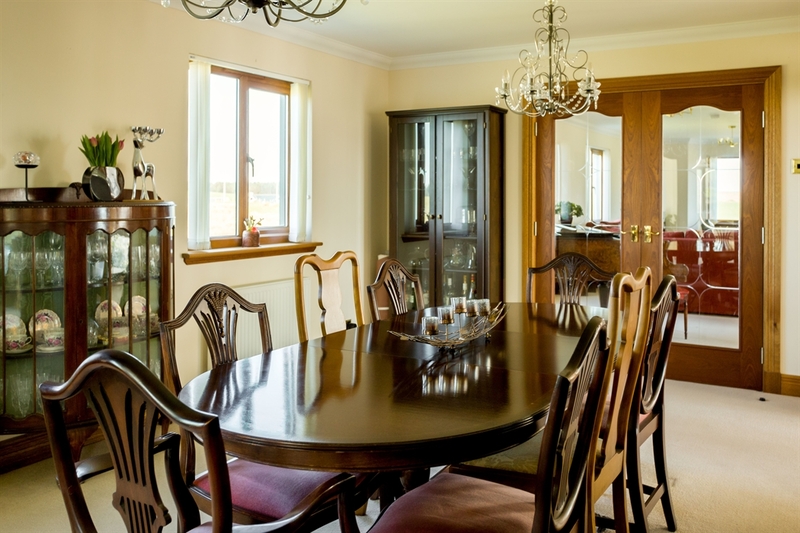 Knockniemoak is a family-run bed and breakfast, set in the south west of Scotland Knockniemoak sits alone in three acres of land just north of the charming coastal village of Portpatrick. 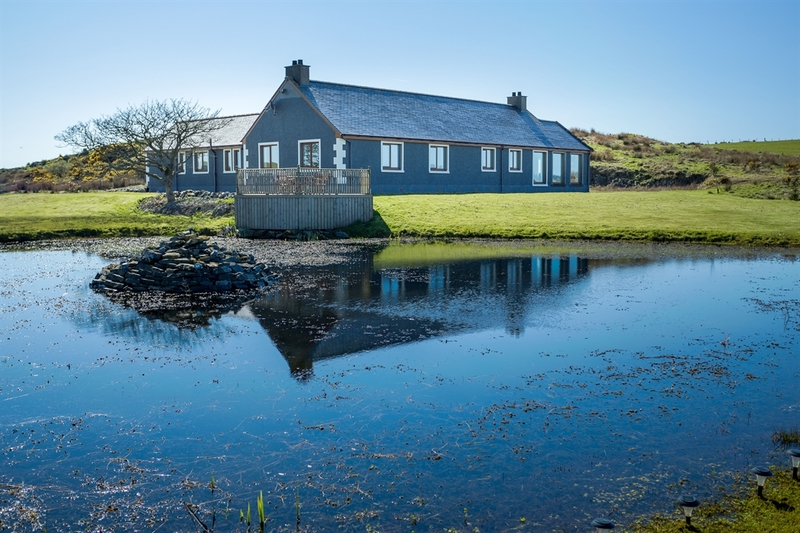 We have direct access for walkers on the Southern Upland Way, and are minutes from the stunning coastal scenery of the Rhins of Galloway, along with many other attractions. We are Debbie and Bob Newdick, and we are lucky enough to call Knockniemoak our home. We provide a warm and friendly welcome to all of our guests, and ensure that your stay is both comfortable and relaxing. 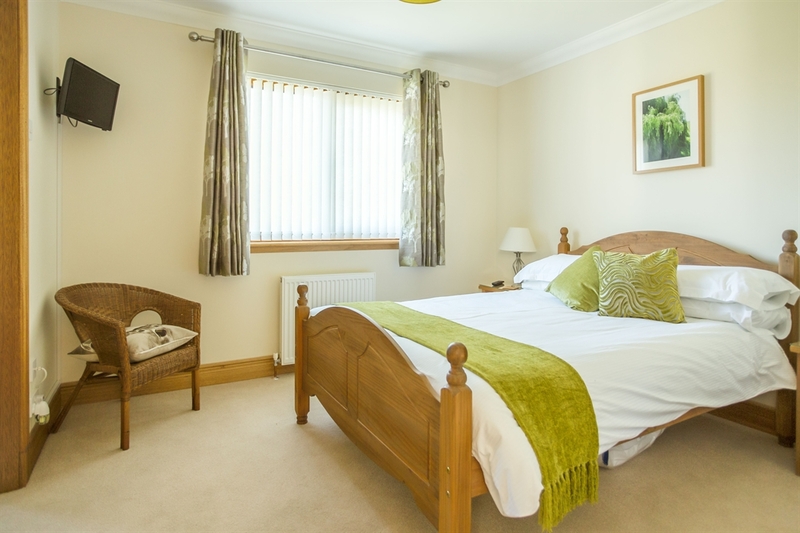 Our accommodation is spacious, our service is friendly, and our breakfasts are delicious and locally sourced. 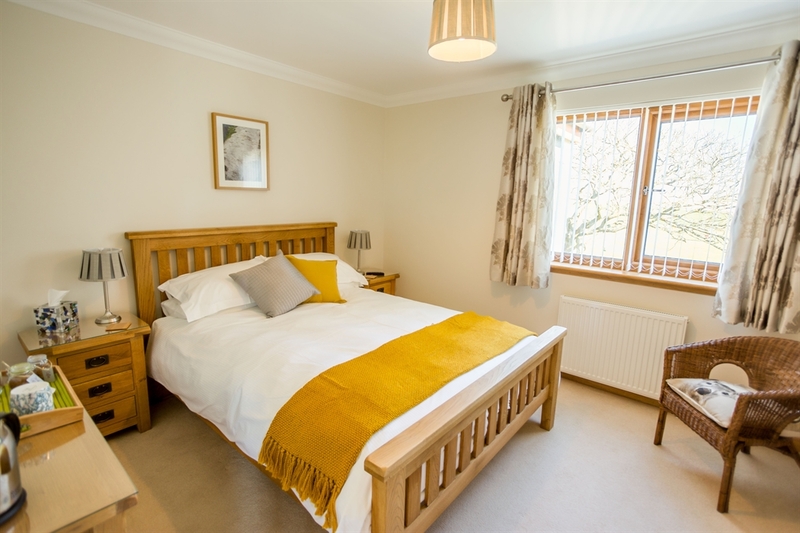 We also can help you with advice on everything the local area has to offer, and will always be available for information and tips on everything you will need to make your stay with us a memorable one. In addition we can provide secure and dry facilities for both cycles and motorbikes. The popular coastal village of Portpatrick is just 3 miles away, offering fabulous restaurants, walks, pubs, golf and a picturesque harbour. 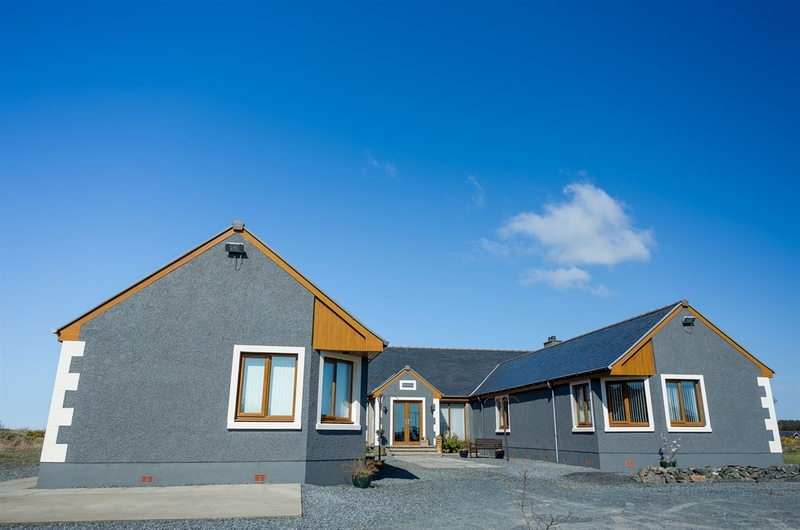 You are also a short walk from breath-taking views of the Irish Sea and the Mountains of Mourne in Northern Ireland, as well as Ailsa Craig and Arran. These are the views that brought us here in the first place. Each of the 3 guest rooms are furnished to a high standard, with premium linens and toiletries to offer you a little bit of luxury. You will also enjoy a complimentary beverage tray and a flat screen digital TV. We offer a large, warm, guest-dedicated lounge where you can enjoy tea, coffee and homemade biscuits while taking in the beautiful views. We take great care in providing a fresh and tasty cooked breakfast that sets you up for a day in the Scottish countryside. Vegetarian and lighter breakfast options are available too. Locally sourced and homemade produce is provided wherever possible. Breakfast is served in our cozy dining area, and offers our guests the chance to share plans, advice and stories with us and other guests. With reasonable notice a packed lunch can be provided for anyone setting off on a full day adventure. For dinner, there are some excellent pubs and restaurants both in Portpatrick and in Stranraer (8 miles). 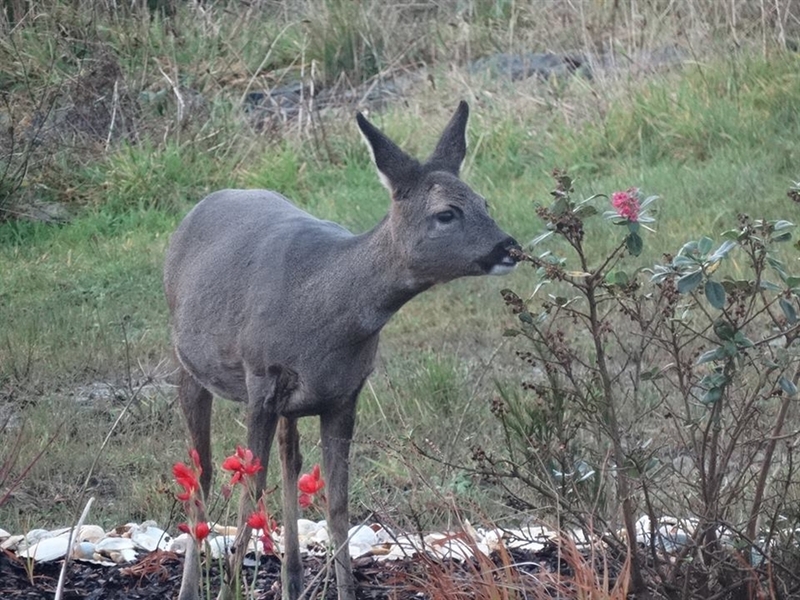 All of our guests have access to our large garden. 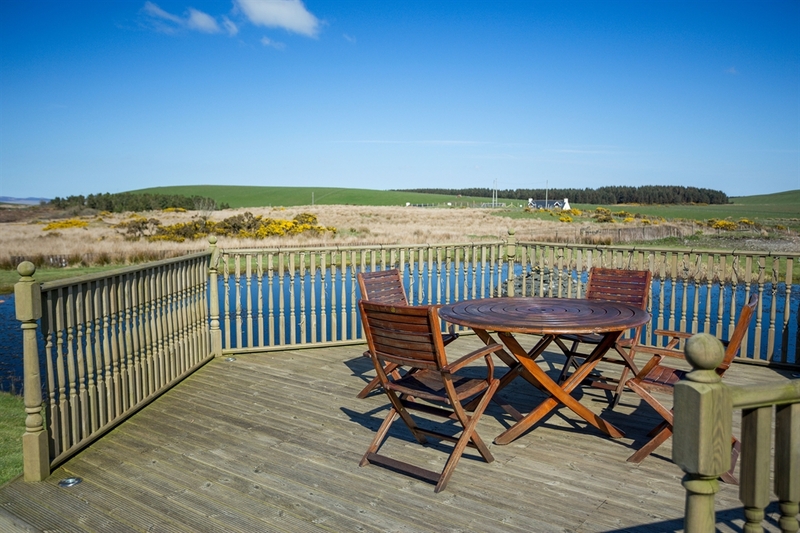 You will be able to relax on the deck overlooking the pond, or take a short stroll up the hill to enjoy the views across to Northern Ireland or Ailsa Craig. 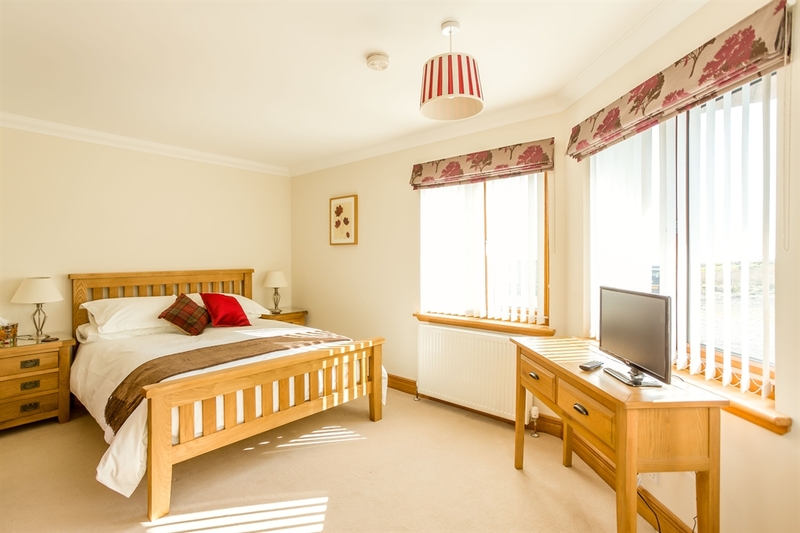 There is a £10 discount per room per night for single occupancy. We particularly encourage walkers of any ability and experience to enjoy the wonderful countryside and shorelines hereabouts. 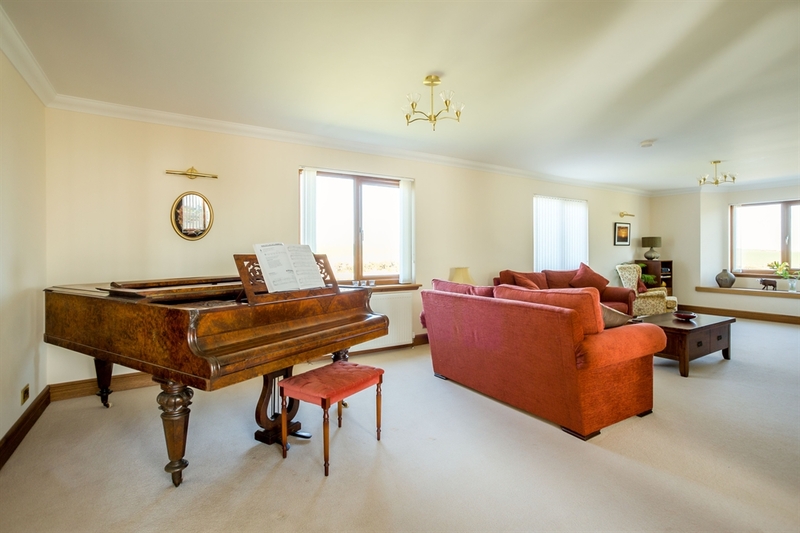 As well as being perfectly located for visiting Portpatrick, we are not far from the port of Cairnryan, where P&O and Stena Lines run to and from Belfast and Larne. Day trips to Belfast are available from as little as 10 pounds per head. Other activities close by include: Gardens Logan Botanic Garden Logan House Garden Ardwell Garden Castle Kennedy Garden Dunskey Castle Garden Glenwhan Garden. Golf With a wide choice of courses in the Dumfries and Galloway area, casual or serious golfers will find exactly what they need in easy reach. Nearest courses are: Portpatrick G.C. Stranraer G.C. Wigtownshire County G.C. Newton Stewart G.C. Lagganmore G.C. ( 9 hole). We are also only 60 miles from the famous courses of Turnberry and Troon. Birdwatching is possible all around the shoreline of Loch Ryan as well as along the Rhins coastline. Particularly favoured spots are the RSPB reserve at Mull of Galloway, Corsewell Point for autumn seabird migrations, and the spit at Wig Bay (Loch Ryan) for nesting terns. Naturally the whole countryside around Knockniemoak is alive with a great variety of birds. We will be happy to point you in the right direction. Fishing There is superb fishing in the area with the sea angling being rated as amongst the best in South West Scotland. You can enjoy both boat-fishing out of Portpatrick and shore-angling a very short drive from Knockniemoak. The Stranraer and District Angling association has trout fishing on four local lochs/reservoirs, with one (Knockquassen) only a 20 minute walk across the fields from Knockniemoak. Salmon Fishing is available on the Waters of Luce, while the Dunskey Estate provides both boat and shore-based trout fishing on their private lochs. BY ROAD – From the south, travel along the A75 following the Solway Firth from Dumfries through the beautiful Galloway countryside. About 2 miles after passing Glenluce take the B7077 on the left signposted to Portpatrick; after 4 miles turn right on to the A716 following signs for Portpatrick; after 800 yards turn left onto B7077 following signs to Portpatrick; after 400 yards turn left onto A77 following signs to Portpatrick. Just before entering Portpatrick take the B738 on the right signposted to Leswalt; after 2 miles you will see a sign on the left for Killantringan lighthouse, remain on the B738 for another 400 yards and then take the next lane on the right (with Southern Upland Way finger posts); follow this lane for 1 mile in total; after 800 yards the lane bends sharply to the right by the Deer Farm; continue on and Knockniemoak is on the left after a further 800 yards. From Central Scotland, travel south-west on the A77 along the stunning Ayrshire coast towards Stranraer.From Stranraer, follow the A77 to Portpatrick, 8 miles, Just before entering Portpatrick take the B738 on the right signposted to Leswalt; then follow instructions as above to find Knockniemoak. BY FERRY – From Ireland, travel by Stena Lines from Belfast direct to Cairnryan, 3 miles north of Stranraer. Alternatively, P & O operate from Larne to Cairnryan. BY RAIL – Trains from Glasgow and Ayr terminate at Stranraer. BY AIR – Glasgow International Airport is the likeliest arrival point with train links to Stranraer. There are also occasional flights into Prestwick International which again has train links to Stranraer. For visitors without a car, we can arrange transport between Cairnryan or Stranraer and Knockniemoak.